Atrial septal defect (ASD) and patent foramen ovale (PFO) are common congenital heart defects. 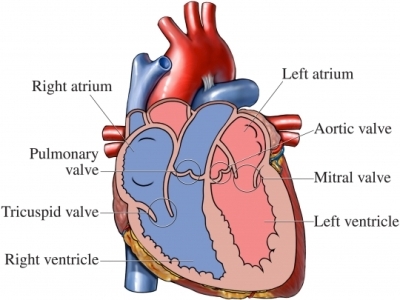 An ASD is a small hole in the wall separating the two upper chambers of the heart. A PFO is a small flap-like opening that did not completely close during formation. Untreated, these conditions can increase blood flow to the lungs, blood pressure and stroke risk. A minimally invasive procedure can easily reduce these risks and plug the hole. Our Structural Heart team includes cardiologists, cardiac surgeons and electrophysiologists that will help you determine the best treatment for a congenital heart defect. An appointment with a cardiovascular surgeon requires a referral from your cardiologist or primary care provider. You will be placed under general anesthesia and your doctor will make a small incision. Your doctor will guide a small tube (about the size of a pencil) to the site of the heart defect. A small mesh device attached to the tube will be placed in the hole and immediately close to improve heart function. Your doctor will make sure that the plug is in place before removing the tube.